A new video released by the so-called Islamic State's affiliates in Libya purports to show the killing of two groups of Ethiopian Christians. The 29-minute video shows two groups of captives held by the Islamic State (IS, formerly known as ISIS/ISIL), described by onscreen text as "followers of the cross from the enemy Ethiopian Church." It says one group is being held by an ISIS affiliate in eastern Libya and the other in the south of the country. Each group has about 15 captives. A spokesman for the Ethiopian government said he cannot confirm his country's citizens were the ones killed in the video. "We have seen the video but our embassy in Cairo has not been able to confirm that the victims are Ethiopian nationals," Redwan Hussein told Reuters. "Nonetheless, the Ethiopian government condemns the atrocious act." In the video, a masked fighter brandishes a pistol, threatening Christians must convert to Islam or pay with their lives. He describes Christians as crusaders whose goal is to kill Muslims. The footage then shows both groups of captives being killed by the terrorists, one group is beheaded and the other shot dead. The new video bears similarities with another one, released in February, where militants beheaded 21 Egyptian Christians. Both videos were stamped with the logo of Islamic State's media wing, Al-Furqan. 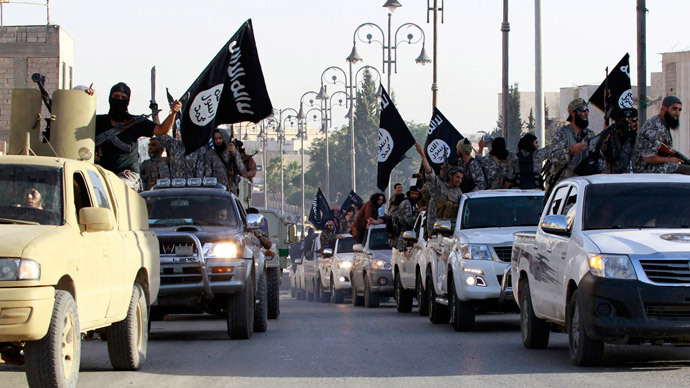 IS managed to gain a foothold in Libya amid the chaos and infighting following the end of Muammar Gaddafi's regime. They have been using the internet to spread their message, often in the form of videos showing the killings of those they deem "enemies." The militants are also active in social media, and have hackers operating on their behalf.